HomeFood & BeverageKrispy Kreme Doughnuts Original Glazed Doughnuts at only 79sen! Krispy Kreme Doughnuts Original Glazed Doughnuts at only 79sen! 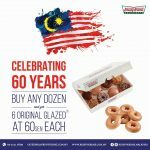 Krispy Kreme Doughnuts Malaysia is offering a second dozen of Original Glazed Doughnuts at only 79sen! 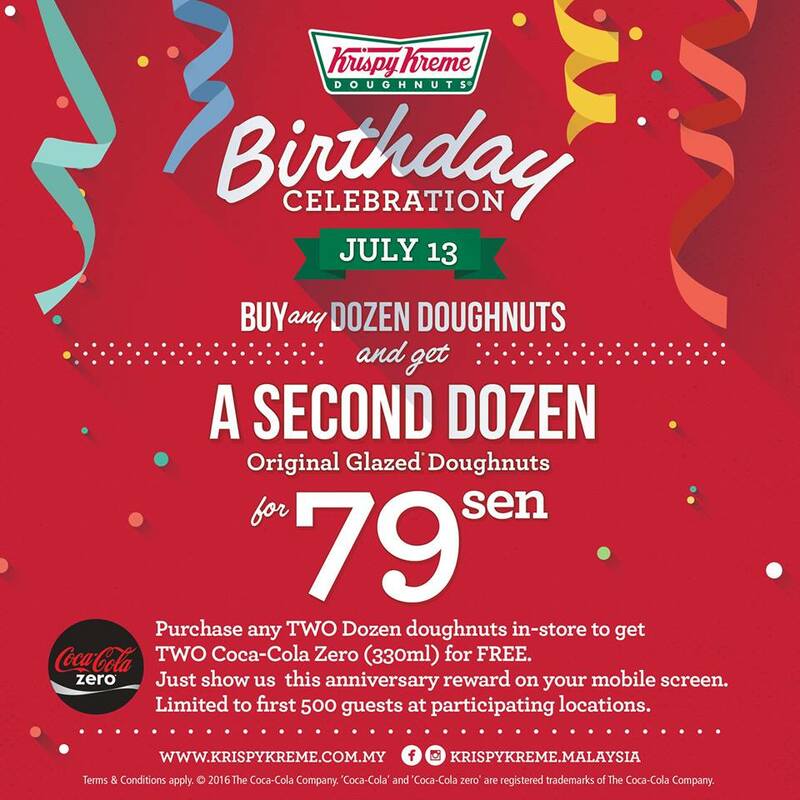 Krispy Kreme is celebrating its 79th year on 13 July (Wednesday), by offering a Dozen glazed doughnuts for 79sen at participating locations. Krispy Kreme’s most famous and best-selling product is the glazed, yeast-raised doughnut known as the “Krispy Kreme Original Glazed®. Krispy Kreme first light up its iconic neon “Hot light” as its Flagship store in Berjaya Times Square, Kuala Lumpur on 29th April 2009. All Krispy Kreme stores offer its signature melt-in-your-mouth Hot Original Glazed ® doughnuts as well as 18 core varieties including iced, filled and cake doughnuts. 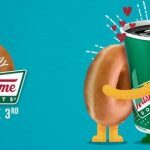 Besides doughnuts, Krispy Kreme also offers high-quality brewed coffee, roasted by Krispy Kreme’s own roastmaster and a variety of other delicious beverages. 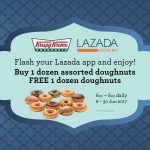 Krispy Kreme Doughnuts Buy 1 FREE 1 Deal! 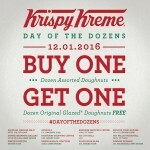 Krispy Kreme Doughnuts Buy 1 FREE 1 Promotion! 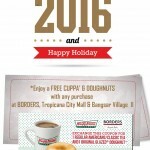 FREE Krispy Kreme Doughnut Giveaway! 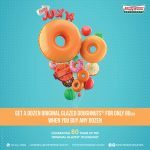 Krispy Kreme Doughnuts Offer 1 Dozen Original Glazed® Doughnuts Deal! 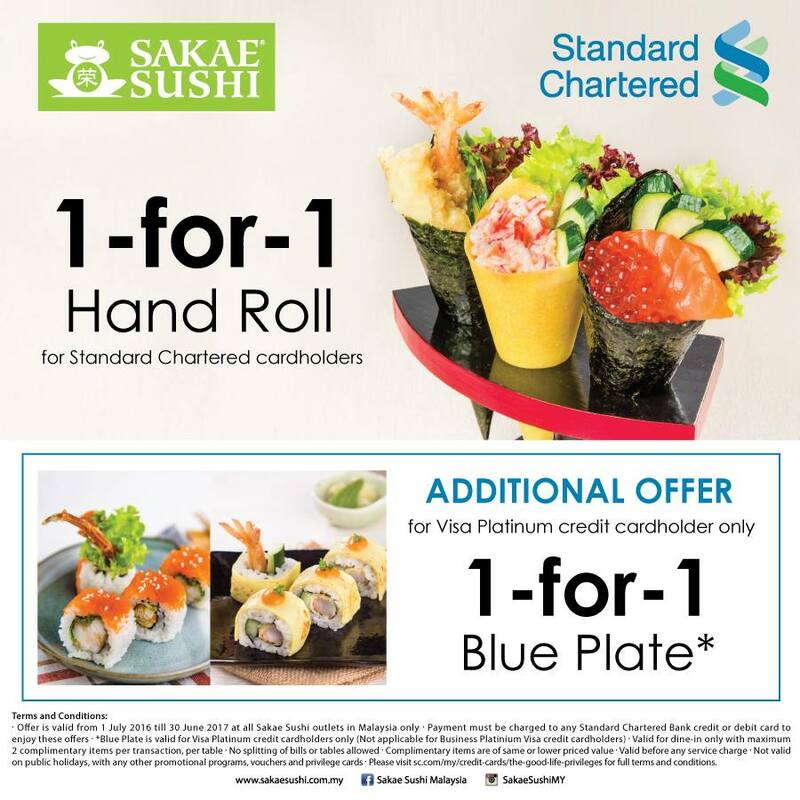 Sakae Sushi 1-for-1 Sakae Sushi Hand Roll Offer! FREE 30ml CLEAR Men Cool Sport Mentol Giveaway to Your Doorstep!